Testing in accordance with MIL-DTL-83526 (General Specification for Fiber Optic Circulars Connector, Hermaphroditic) is to screen hermaphroditic interface, fiber-optic connectors to the optical requirements in the detail specification document. Samples with singlemode and multimode fibers go through a program replicating extreme environmental hazards such as drilling. Temperature Life testing: Tests for optical performance while the samples are exposed to a temperature extreme for several hours. Altitude Immersion testing: Exposes samples to a pressurized environment and at certain temperatures. Areas where drilling is needed such as a oil field, underwater, etc, harsh environments of impacts and vibration would interfere with an optical connection. A typical mated pair consisting of connector plug and sockets would typically de-mate in the middle of usage. 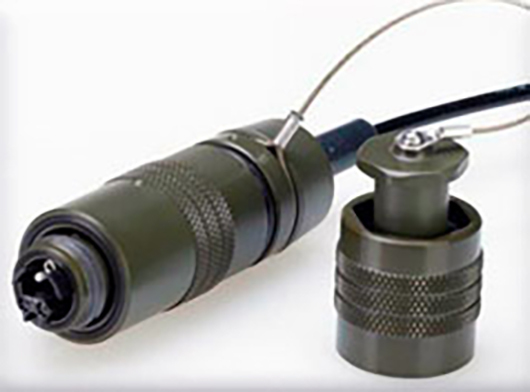 The hermaphroditic design of these connectors establishes a more durable connection of an optical signal and withstands military field application. MIL-DTL-83526 tests the connector’s mating durability along with its optical capability by exposing it to mimicked extreme environment. Qualification of the product per this detail specification can be distributed to primary defense contractors.